I hope you had a fun and safe Fourth of July weekend. 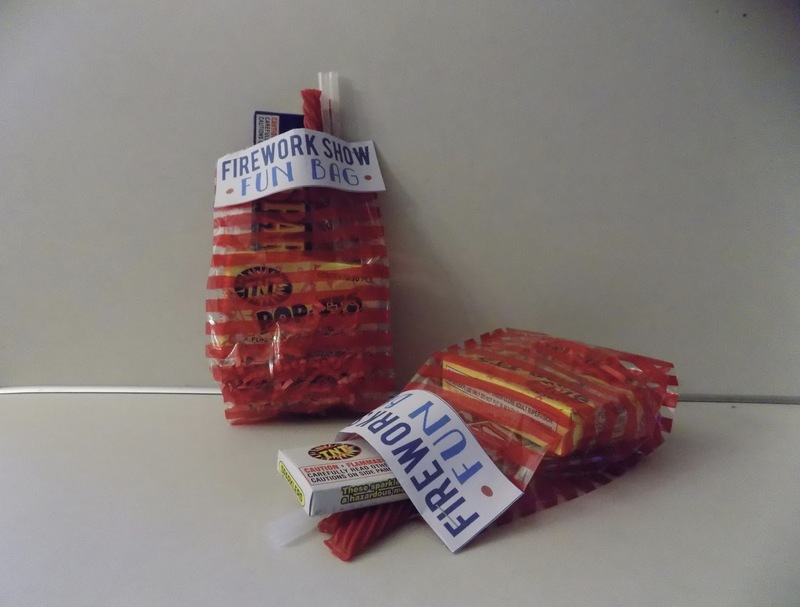 We spent it up at my family's cabin so I was unable to post these Fun Firework Bags for you yesterday. Place your filler inside the bottom of the bag. Add in your treats and toys. Place your tag at the top of your bag and staple into place. My bags were a little smaller then I had planned. That wasn't going to stop me! I still stapled it to the top of the bag so it worked as a reinforcement for the taller treats and toys. I think these are perfect gifts to keep those smaller ones entertained before the fireworks start. What did you do for the Fourth of July this year?